Who is speaking and to whom is he speaking? 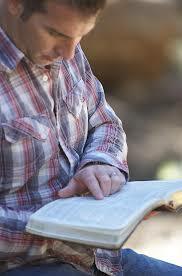 We know that there are many “rules” that will help us to read and understand the Scriptures better. And if we follow these obvious rules, we will avoid some very foolish and hurtful mistakes. This should be clear to everyone. If a father says, “Go outside and mow the grass,” we know immediately that he is speaking to a son or daughter or someone else who is under his authority. If a woman tells her son, “Stop at the store and get a loaf of bread and a dozen oranges,” again we know that this is not a general command for you or me to obey. It had a limited application. Now let’s go to the Word of God. God says, “Make for yourself an ark of gopher wood” (Genesis 6:14a). Here we know instinctively that this command of God Himself was meant only for Noah to save him from the coming flood. None of us would think that this is a command for you or me. It was given to a different person and it had only a limited application—some 4,500 years ago. We can all see this, I am sure. But there are dozens (perhaps hundreds) of instances of people who read Scripture and assume that a certain command or promise is meant for them. They seem to have little or no interest in discovering to whom the promise or command was given. Some just say, “I believe the whole Bible and I want to claim that promise for myself!” Yes, we want to believe the entire Bible but we only can claim a promise if it was meant for us, personally, and not for another. The same is true for the commands. Some people insist on obeying a command that was meant for another person or group of people. They seem to give little interest in finding out the intended recipient of the command. This has brought some bizarre interpretations and has brought many false views and theology that we must avoid—since surely we want to know the mind of God in all of these matters. Let’s notice briefly a few popular teachings and ask whether they may rely on commands that are not to be taken personally. Mark 6:7 (and Luke 10:1). Going out two by two. Probably many of our readers have never heard of the religious group popularly known as “the two by twos.” This is a little known group that takes the command of Jesus to His apostles and applies it to their preachers. Jesus said, “He commanded the twelve and began to send them out in pairs, and gave them authority over the unclean spirits” (Mark 6:7). Was this given to every preacher today? No, it was given to the twelve apostles (or the 70 preachers—Luke 10:1). It may be good advice but it is not essential that preachers obey all of the instruction given to these specially chosen apostles of Jesus—who were to travel in pairs, who were to stay in their convert’s homes, who depended on others for their sustenance. John 15:16. Chosen of God. It is true that all of God’s children have been chosen of God. We read, “So, as those who have been chosen of God, holy and beloved….” (Colossians 3:12a). We were chosen to serve the Lord and belong to Him. However, some Bible readers apply something apparently given to the apostles and apply it personally. Jesus said to His apostles (cf. John 13:5ff), “You did not choose Me but I chose you, and appointed you that you would go and bear fruit, and that your fruit would remain” (John 15:15a). It is true that we have been chosen and it is true that we are to be fruit-bearing (Galatians 5:22-23), but it would be best if we didn’t use a passage like this as proof. Jeremiah 29:11. Our future and our hope. Here we read, “I know the plans that I have for you, declares the LORD, plans for welfare and not for calamity to give you a future and a hope.” We believe that it is possible to use a verse like this to encourage a Christian in some way. But we must not deny or overlook the fact that this was given to Jews whom Nebuchadnezzar had taken to Babylon—and not to Christians (see verse 1). 1 John 1:9. The promise of forgiveness. How many times we have heard 1 John 1:9 quoted in regard to a non-Christian who needs to be saved. John writes, “If we confess our sins, He is faithful and righteous to forgive us our sins and to cleanse us from all unrighteousness.” Who is to confess? It is quite clear that the “we” in this verse refers to the Christian who sins (vv. 1-8). In other words, the Christian who sins may “confess” his sins and can expect God’s complete forgiveness. Revelation 3:20. Jesus stands at the door. Jesus gives this promise: “Behold, I stand at the door and knock; if anyone hears My voice and opens the door, I will come into him and will dine with him, and he with Me.” If we look at the context of this verse, we notice that Jesus is writing these admonitions and commendations to seven of the assemblies in Asia Minor. The verse above was written to the body at Laodicea and Jesus encourages them to repent and invite Him into their lives once again so that He will have fellowship with them. It is not meant for the non-Christian. Matthew 25:31-46. The judgment scene. The Lord commends the righteous in giving food to the hungry, giving drink to the thirsty, inviting the stranger in, giving clothing to the “naked,” visiting the sick, and coming to those in prison. So often we’ve heard this applied to the Christian in blessing their unbelieving neighbors in a physical, tangible way. But the Lord says commends these righteous ones for what they did to His “brothers.” This would not refer to non-brothers or sinners. Evidently it doesn’t apply to unbelieving Jews. But it would apply to any fellow-Christian who happens to be in need. We must be especially concerned about what words are given and to whom. Deuteronomy 20:4. God will fight against our enemies? In the verse above, we read: “. . . for the LORD your God is the one who goes with you, to fight for you against your enemies, to save you.” Is this a promise given to Christians? The previous verse tells us that it is given to “Israel” as they enter a battle with their enemies. Let’s be careful about what verses we apply to ourselves when the original passage was given to a different group of people—in this case, to the Jews. Some of you may have heard of the “two by two” preachers and the “two by two” religious group. This cult takes the words of Jesus in the “limited commission” (of Mark 6:7) meant for the twelve apostles and applies this to their preachers today. The same is true for the “limited commission” (at Luke 10:1) where Jesus sends the seventy out before Him in Israel. Was this meant to today and for preachers in our day who would go out to preach? We think not. It had a limited application to the followers of Jesus 2,000 years ago. Yet this group (cult) insists on sending either two men or two women out to preach and they stay in the homes of the members and eat their food and refuse to buy a car. Surely these passages are misapplied. Genesis 17:9ff. Abraham is given the covenant of circumcision. If you know the Old Testament account well and the account of the lives of the patriarchs, you will know that when Abram (Abraham) was ninety-nine God made a “covenant” with him and ordered him to circumcise every male at age eight days (Genesis 17). One verses says, “This is My covenant, which you shall keep, between Me and you and your descendants after you: every male among you shall be circumcised” (v. 10). There are more relevant verses but this shows that Yahweh God made this covenant with Abraham and with other male descendants and required them to be circumcised. Would it be correct interpretation to pull this chapter out and apply it to all Christian men today? Not at all. Some 2,000 after God made this covenant, Paul writes to Christians of his day: “I . . . say to you that if you receive circumcision, Christ will be of no benefit to you” (Galatians 5:2 see also vv. 1-12). No, it was given to a certain people for a certain time and did not apply to Gentiles many centuries later. Leviticus 1-7. Sacrifices or offerings. Those who have studied the Law of Moses well may remember the seven chapters dealing with the various sacrifices that were given by Moses under the Law of God. No, not at all. For instance, we read, “Speak to the sons of Israel and say to them, ‘When any man of you brings an offering to the LORD, you shall bring your offering of animals from the herd or the flock” (1:2). If we read through this section, we find that Moses gave instructions on these sacrifices to Israelite men. They were not given to Christian men some 1400 years later. Isaiah 40:11. Who is the flock? Some may recognize these beautiful promises found in Isaiah: “Like a shepherd He will tend His flock, in His arm He will gather the lambs and carry them in His blossom; He will gently lead the nursing ewes” (v.11). This is a comforting and encouraging verse that would be of help to those who know God and follow Him. But let’s not forget that it was actually given to Jerusalem and the people living there (see verses 1-2). Although we may be able to use the verse in a secondary sense and apply them to sincere followers of Jesus, we must not forget that it was actually given to Israelites and not to Christians. Mark 16:15. Are women to preach publicly? We know that this account of the Great Commission has been important in the preaching of the good news of Christ around the world. Jesus said, “Go into all the world and preach the gospel to all creation” (v. 15). Definitely this was given to the eleven (all men, all apostles) as verse 14 states. It was not given to non-apostles and not given to women (even though many women use this verse, and many others) and claim that God has sent them to speak publicly the gospel of Christ. Definitely we can use this verse as encouragement to preach to people everywhere (the apostles couldn’t do this), but we must always remember the original context and the original recipients. We’ve given twelve samples of verses that many people pull from their context and apply them in away quite different from the way they were meant to be applied. 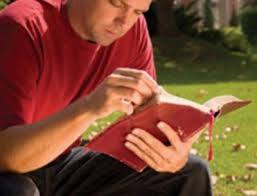 But we do know the words of Paul regarding Scripture: “All Scripture is inspired by God and profitable for teaching, for reproof, for correction, for training in righteousness; so that the man of God may be adequate, equipped for every good work” (2 Timothy 3:16-17). From this we can see that the Lord gave inspired Scripture for our benefit. Part of our responsibility in receiving Scripture from God and giving it to others is to make sure that the Word is properly understood, properly applied, and properly proclaimed. In other words, we need to make sure that we known to whom a command is given. We need to take note of the reason for the command. And we need to know who gives the command. This is why we have attempted to look at certain passages of Scripture earlier. Let’s be students of the Word of God and make sure that we understand it to the extent that we properly, wisely, and honestly apply it to others (and to ourselves as well). 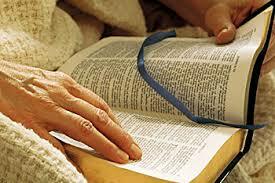 Do we believe that God has given us Scripture (2 Peter 1:20-21; 2 Timothy 3:15-17)? If so, let us do the necessary work of study in order to teach it as God would want us to teach.